Ahh, sweet ole preview! The enthusiastic tour guides decked out in orange and blue, free ice cream from Broward dining hall and the thrill of discovering your new place in the swamp for the next four-plus years—yeah, those were the good days. But hold on, did you really learn everything about UF during preview? I don’t think so. Preview works just like a salesman: They don’t tell you all the side effects included. At the University of Florida, students share what they wish they were told on their college orientation. 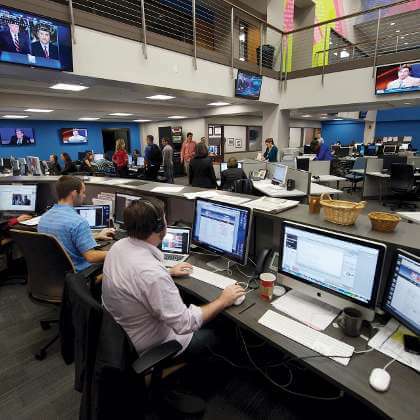 Take a look below at 10 things they won’t tell you at University of Florida preview. 1. Meal Plan for What? “I wish at UF’s orientation someone would’ve told me that the meal plan was not worth it. I could have saved a lot of money by just going grocery shopping. It wasn’t just about the taste in food, but rather the fact that I didn’t need to use it all the time. When I was in a rush for class, I would miss out on breakfast,” junior Genese Africain said. Just like Genese’s experience, many other students at UF face the same issues. Not only do they not find the food in the dining halls appetizing, but they also struggle to find the time to make their way there, especially those students that live at Lakeside. Where’s the time to eat when you already have to make a mission to get to class? At orientation, preview staffers encourage incoming students to get the meal plan to transition into college easier. For some freshmen, they can confess the meal plan helped in a pinch. However, the meal plan will not always work for everyone. 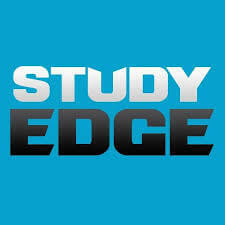 “I wish they would’ve told me to get study edge; a tutoring service that helps students with their courses. I didn’t know about it until my second semester here at UF. It would have definitely helped me with my first semester classes; I’ve could’ve done better and not pay for them useless textbooks,” junior Hannah Wilson said. UF carries quite rigorous courses that many students find challenging to pass. At preview, getting information about different possible tutoring programs can make all the difference. With the right tools like Study Edge, consider getting an ‘A’ checked off your to-do list. The options for student living include living off campus, on campus or with your parents. Some students choose not to live on campus, missing out on the fun of SNAP rides at 2 a.m. The real freshmen experience involves being vulnerable to the idea of trying new things. How can you have that if you miss every GatorNight? “I wish they’d emphasized how crucial it is to live on campus during freshman year to maximize the college experience. Coming from someone who lived in a traditional-style, communal residence hall freshman year and dreaded it, I would attribute my success and involvement on campus to the accessibility you have when living there. Certainly, it’s possible to be involved and live off campus, but you make the best memories arguing with your roommate about bedtimes, cleaning up after people in the kitchen and watching your roommates come home drunk on Wednesday’s (Ladies Night). There’s never a better time than freshman year to dip your feet in the water of all the involvement you can and truly acclimate yourself to on-campus life,” junior Heaven Taylor-Wynn said. “I wish they would have told me ‘Freshman 15’ has friends: Sophomore 20, Junior 30, and you can’t forget about Senior 40. I would have been better prepared,” alumna Yanet Alfaro said. Laugh all you want, but the “Freshmen 15” friends didn’t come here to play. College, unfortunately, puts a strain on most college students weight. Figuring out a nutritionally healthy diet and a consistent exercise schedule could help students prepare to fight off the unnecessary body fat. Late nights at Relish and Tijuana Flats may not work with your diet, but Southwest Rec and Florida Gym will. “I wish they would’ve told me that finding parking on campus is as difficult as the science classes!” senior Darlene Jerome said. Darlene’s right: Finding parking at UF equally compares to the rigorous science classes. 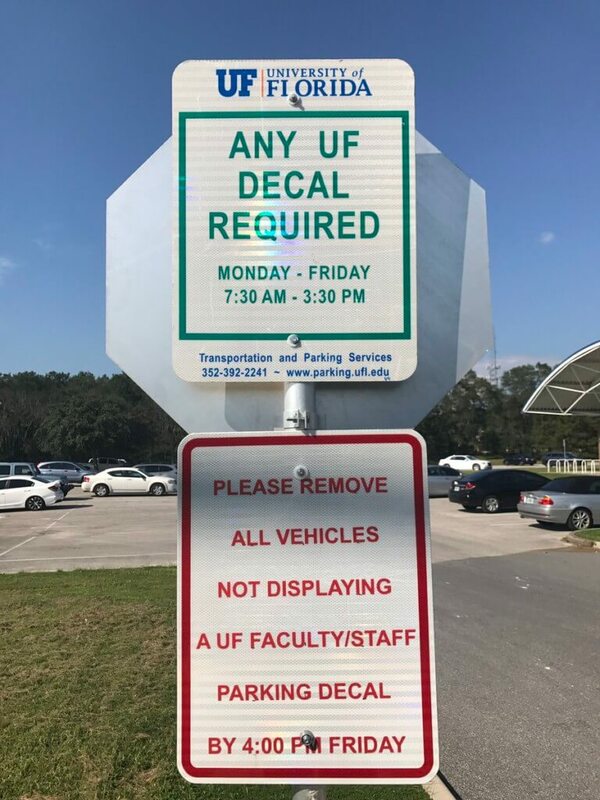 Some students fail to realize the meaning of the different UF parking decals. Can I park at Red, Orange or Green? Well, Green looks like go, so I’ll park there. Students like this end up with a bouquet of tickets. Talking about where to park and parking decal deadlines at orientation can reduce the confusion. “I wish they would’ve told me to get an internship before my GPA went below a 3.0. I thought I had more time and could hold off interning. But then the time passed by and classes got harder. You know the rest of the story…” senior Chadwick Edouard said. I definitely know the rest of the story, Chad. Finding an internship after a hard semester can result in a bigger setback than many may realize. The myth that freshmen students can’t intern only discourages. Instead of talking about your classes (that you may not even take) at preview they should talk about what it takes to land an internship. Learning about what possible qualifications make an applicant stand out from the rest could help you land that internship with WUFT. “I wish they would have told me how expensive the crappy dorms are. They showed us the good-looking dorms. I thought, ‘Hey, maybe this would be worth the investment.’ Then I got to my dorm and thought, ‘Is this what I’m paying [for]?’” junior Schamael Joseph said. At preview, of course, the good-looking dorms will excite you about move-in day. Seeing those orange and blue bed sheets give you all kinds of dorm decoration ideas. Too bad that those dorms shown may not end up your home. Most freshmen have no idea what all the dorms look like so they end up paying for something they’d rather not have. To eliminate this problem altogether, orientation students should get the option to explore whatever dorm hall that interests them. If assigned Murphree Hall, they should see that dorm before agreeing to live there. “I wish they would’ve told me that majors themselves don’t necessarily matter as much as you think they do. I remember at preview stressing about what major I was going to be and there was so much pressure to pick the ‘right’ classes when in reality we all have a lot more time to decide than we think.” junior Austin Futch said. Preview gives students the chance to sign up for their upcoming semester classes and discuss their desired major. Yeah, starting to think about what classes you should take can save you a lot of time, but don’t worry if one day you decide to pursue another major. When you start, they’ll label you as exploratory anyway. Knock out those gen eds like ENC1101 or the annoying Good Life class, so that way whatever major you do decide to pursue, you’ll remain on track. You have time, and you’ll be fine. Junior Amari Thomas shares how her experience with getting to know her advisor has saved her a lot of heartaches. “I wish they would’ve stressed how important it to frequently visit your counselor. It’s important to ensure that you’re taking the right classes and that you’re on track. It’s so easy to fall behind at UF. People may not realize but taking unnecessary classes can cause great damage and set you back,” said Thomas. At preview, you get the idea that your advisor can help organize your classes, but preview staffers leave out the fact that they can also help you with so much more. Advisors want to ensure that if any changes on your path occur that they can help you with them every step of the way. Visit Farrior hall as many times as you like. Ask tedious questions like, “I just found out I got an A- in my orgo class, do you think I should take it over?” Seeing your advisor every day may sound obnoxious but know that you have the right to. 10. 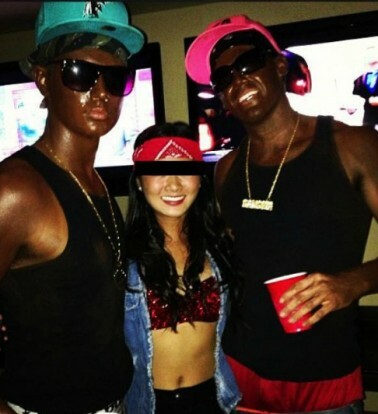 Im Black Now What? No one expects to come to college to face being treated differently because of their race. At UF, students of color have struggled to overcome the many obstacles of racism that they weren’t prepared for. With such a sensitive topic at hand, preview staffers should take the initiative to make racism as one of their primary subjects to discuss. Without this discussion, students may not know how to handle seeing black graduates being manhandled off stage or seeing a white supremacist (Richard Spencer) speak at the Phillips Center. “Believe it or not, UF doesn’t feel safe all the time for me. Being a black woman I have to face many obstacles that others never do. I wish at preview they would have kept it real with me and told me to expect the many challenges that will come with being in the skin that I’m in. It sounds like something you don’t want to talk about at preview; maybe you don’t want to scare the incoming students away. However, this is our reality,” junior Yeyenne Telisme said. Ashayla Blakely is a junior at the University of Florida working on obtaining her bachelor's degree in telecommunications. She is currently working on developing her craft in writing and filmmaking. She strives to inspire others around her through her work. She lives by the quote, "If there's a book that you want to read, but it hasn't been written yet, then you must write it.” -Toni Morrison.